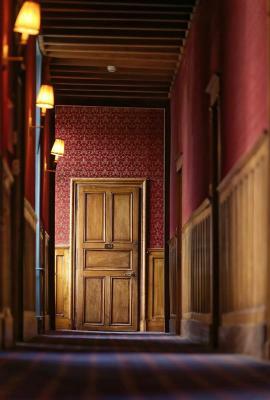 Lock in a great price for Château de Courcelles – rated 8.7 by recent guests! The property is really like the pictures. We stayed in October and the leaving turning colors really made this a beautiful landscape. 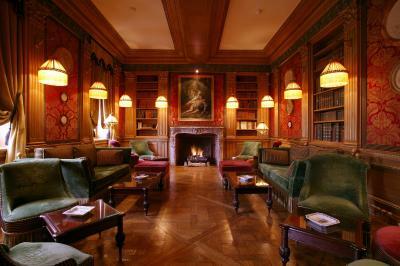 The Château is really cozy and the staff was extremely helpful. We stayed in the middle of the week and beyond a couple of other guest who showed up at the end of the day, we had the property to ourselves. We absolutely loved every minute of our stay!!! It was just me and my 11 year old daughter and we felt spoiled rotten from the minute we walked in! The staff was the so friendly and the attention to detail was amazing! The hotel itself was immaculately kept up! The room service was also incredible. I would recommend this château to anyone! We had an incredible and relaxed time!!! The place oozes history and past splendour and is not without its charm.The staff weren't overly friendly or efficient and could do with a firm hand and morale boosting leadership. The food and wine were good but pricy (spent Euro 200p/p). Its location as a stopover to Calais and the UK is a bit too remote for easy access to and from the Motorway network. 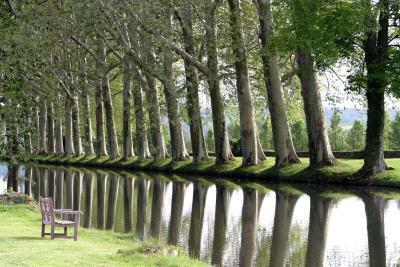 The setting is idyllic in the tranquil countryside not far from Reims. The staff are very attentive and gracious responding to any request. 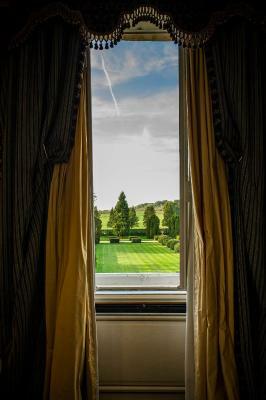 The rooms are very spacious and most offer views over the parklike grounds. 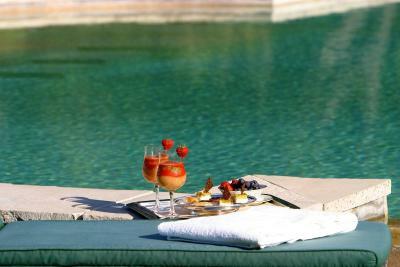 Rooms are beautifully presented and offer good amenities and comfortable beds. Breakfast buffet is extensive and varied and includes chateau baking daily. 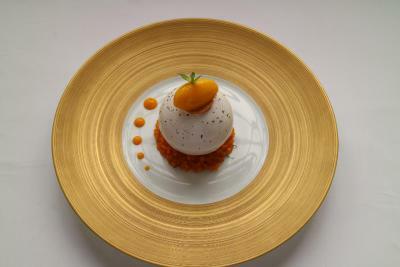 The restaurant menu is limited in the number of choices but varied and imaginative without trying to be too clever or pretentious. Wine list covers a wide range of quality wines. Highly recommend this property. It's a beautiful Chateau with a great staff in the country. This is the second time we have stayed at this Chateau. Very nice breakfast but a little pricey which is pretty common for everywhere we have stayed in France. 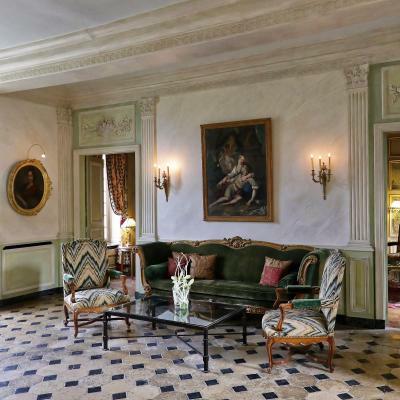 Elegant 17th-century chateau with amazing gardens and stylish rooms. 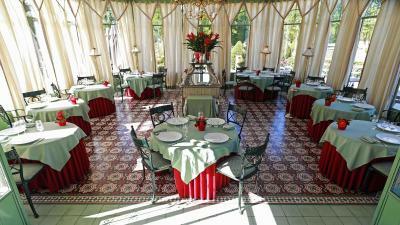 The restaurant serves excellent gourmet meals and the entire is very kind and helpful. Special mention: the wine selection is impressive. We had booked the wrong date but the staff were able to cancel and rebook for the night we arrived. They were very helpful regarding our mistake! Fortunately, they were virtually empty! Our room, though spacious, seemed a little in need of a refresh but the bed was wonderfully comfortable. The exterior, particularly the windows, were in need of a repaint job in places. The grounds were beautifully kept. 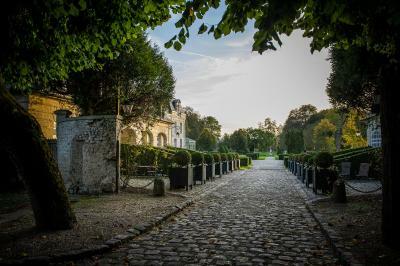 The chateau and grounds were beautiful and the staff were friendly and attentive. It was a great stay in this place. Our room was very comfort, bed was outstanding, the view from the windows was very beautiful. The territory of this chateaux is great. The staff was very friendly and helpful! Breakfast I loved very much. It was already September and the temperature of the air in the morning was a bit cold, but the swimming pool has 28 degrees warm and in the morning you got a great opportunity to wake up and swim in the pool. 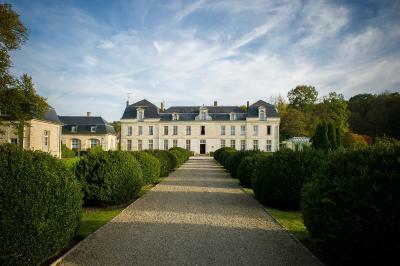 This elegant 17th-century château, surrounded by manicured gardens, offers guests fine dining and an outdoor swimming pool. It is in the village of Courcelles-sur-Vesle, in the heart of the Picardy region, a 30-minute drive from Reims. 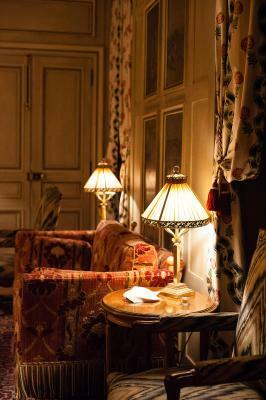 With high ceilings and ornate furnishings, guest rooms offer views of the surrounding gardens. Each room has a flat-screen TV and free Wi-Fi access. 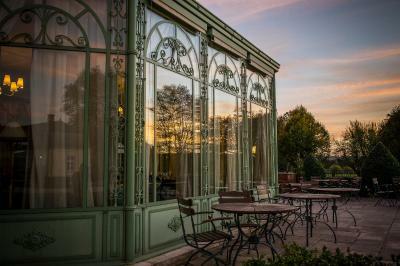 A French fine dining experience can be enjoyed in the historic dining room with wooden beams, or in the atrium with views of the gardens. 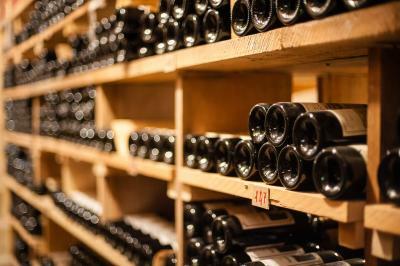 Château de Courcelles features a wine cellar with 1000 wine references, as well as 250 types of champagne. Massage treatments can be organized upon request for an additional fee. 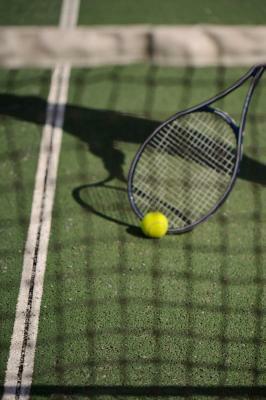 There is also a tennis court on site and an option of 3 jogging routes through the château’s gardens. 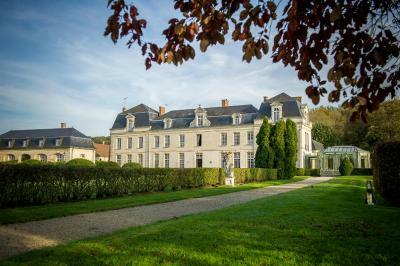 This property also has one of the top-rated locations in Courcelles-sur-Vesle! Guests are happier about it compared to other properties in the area. This property is also rated for the best value in Courcelles-sur-Vesle! Guests are getting more for their money when compared to other properties in this city. 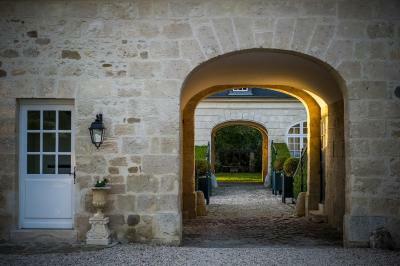 When would you like to stay at Château de Courcelles? 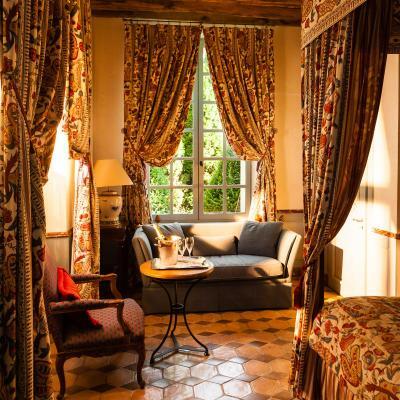 This refined room offers a view of the village and is located in the castle. It features a bathroom equipped with a bath or shower. 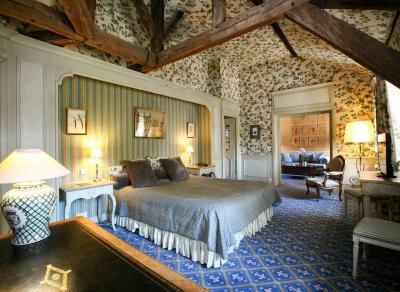 Located in the castle or in the park, this elegant, spacious room features a view of the park or the landscaped garden. Decorated with stone walls or marble, the bathroom includes a bath or shower. This cottage-style apartment is located an annex, in the park. It offers a living room with sofa, 1 bedroom with queen-size bed and a bathroom with shower and bathtub. One of the apartments is suitable for guests with reduced mobility and one has a private terrace. 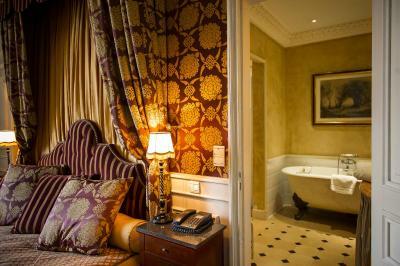 With a view of the park, this double room is located in the castle and features a bathroom with a bathtub or shower. Located in the castle, this spacious suite offers views of the landscaped gardens. Decorated in blue, the suite includes a seating area and a marble bathroom equipped with a bath and shower. 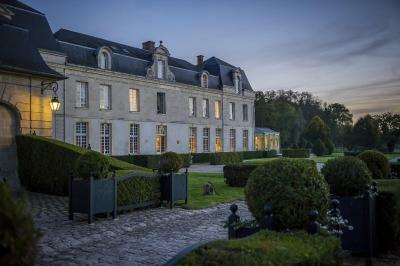 Between Paris (45 min from CDG airport) and Reims, just minutes away from the Champagne region as well as the Chemin des Dames, the Château de Courcelles is an authentic 17th century French château that will charm you at first sight. 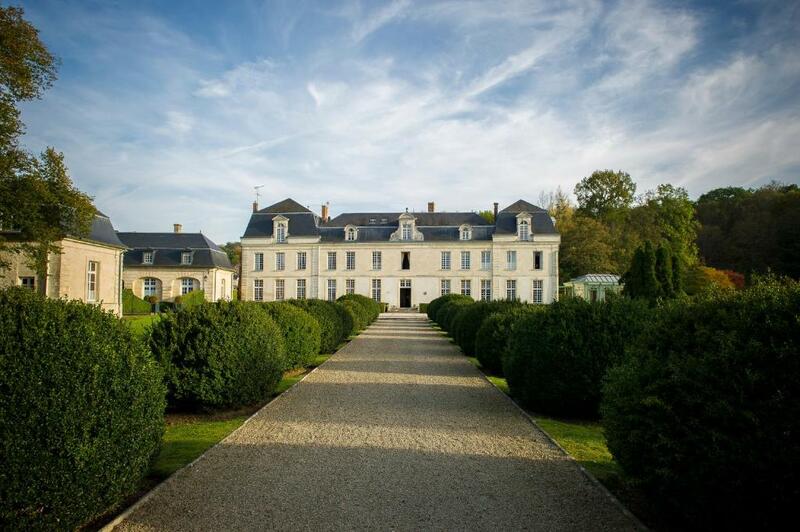 House Rules Château de Courcelles takes special requests – add in the next step! Château de Courcelles accepts these cards and reserves the right to temporarily hold an amount prior to arrival. The cost of the food in the restaurant - although the food was quite food it was over priced in our opinion. My starter was stunning but my main course lacked flavour and seasoning - not a good standard. Only one other couple were in the restaurant so there was little atmosphere (and no background music). It's in a remote location so there are few activities nearby and no options for eating outside the hotel. We stayed on the third floor, and while we had a wifi signal, we were not able to connect to the internet. The bathroom was a tub and no real shower. It was a bit strange to not have other guests around and to have the staff. We thought some of the menu items were stale, which are not acceptable for the price you have to pay. I'd avoid eating in the restaurant and plan to eat somewhere else. We had plans in Rhems most days which meant a good 30 or 60 minute drive due its location. Cost of breakfast 22€ ! Well, there is no minuses in this place. Sure, the price for the stay is high, but it's worth it! You pay these money for the great stay in the magnifier place. Very comfortable bed. Delicious food. There is absolutely an issue in high summer and heat in the rooms (we were there Aug 2018, when it hit 36 deg C). However, I can't see a solution because fitting Air Con units would damage the appearance of the building (or cost too much) but would also ruin the tranquillity with their 24 hour humming. As 99.9% of guests drive, I strongly recommend taking a fan which is what we did from home if it looks like it is going to be hot. The Chateau is located approx 45 mins drive outside Reims and a little further from Epernay, which is a little bit of a drag, but as pretty roads I didn't mind driving. This is a special hotel, in a special location, and absolutely ideal for a special few nights with your partner (we stayed three in the mid-priced rooms). The staff, all of them, are brilliant and go out of their way to help. The restaurant is excellent, though definitely expensive - but my wife and I loved it and will remember fondly. When one of the cheapest wines on the menu is a 2011 Margaux you know this is a special place. You are looking at about €330 for a couple with one bottle of wine. Cheese trolley to die for. 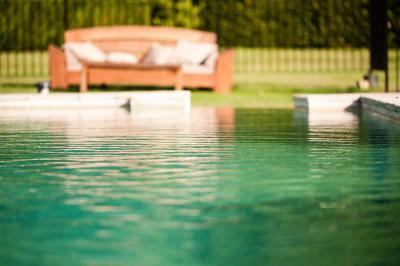 We thought the pool was perfectly sized, and the pool furniture perfect for the setting. Staff provided towels at the pool. Definitely would stay again. Why do the French insist on foam rather than feather pillows? This year very hot in the bedrooms as no air con. Dinners were excellent .Lovely grounds for walking the dog .Our Springer Spanial Barney was made welcome everywhere ! Very peaceful but not far from many Champagne houses ! We always stock up to take home !! Very hot this year, a pity no air con. in the bedrooms, normally not a problem . Steep staircase, no air conditioning. We were lucky enough to be upgraded, which made our brief overnight stay even better.